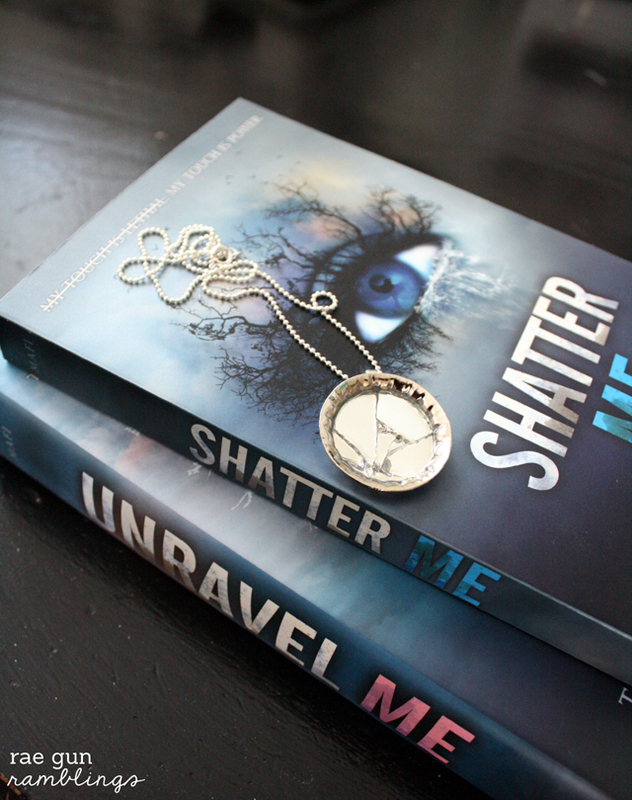 It’s a well documented fact that I have a slight obsession with bookish jewelry but this Shatter Me mirror necklaces is one of my favorites. What I like about it is that is is totally book inspired but just a pretty piece of jewelry on its own. I mean I adore my many many book page pendants but I feel like this is something I could give to my non-book-obsessed friends and they’d enjoy it too. 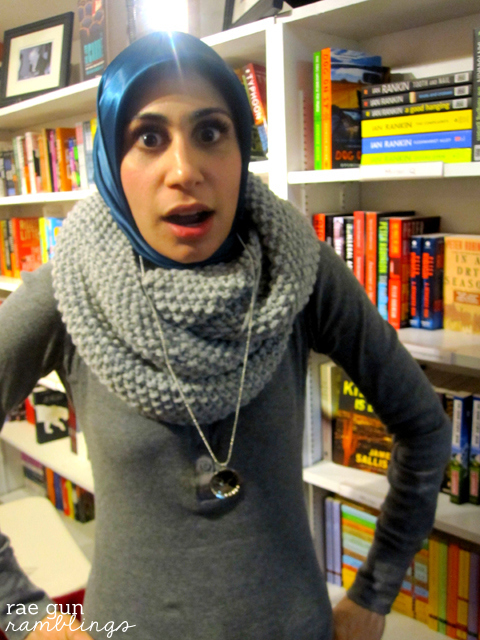 And I may or may not have given Shatter Me author Tahereh Mafi one when she came through for her Unravel Me signing. And she may or may not have given me an awesome squeal of glee and immediately put it on that made me feel warm and fuzzy because seriously she’s one of the nicest humans ever! But more about the signing later. 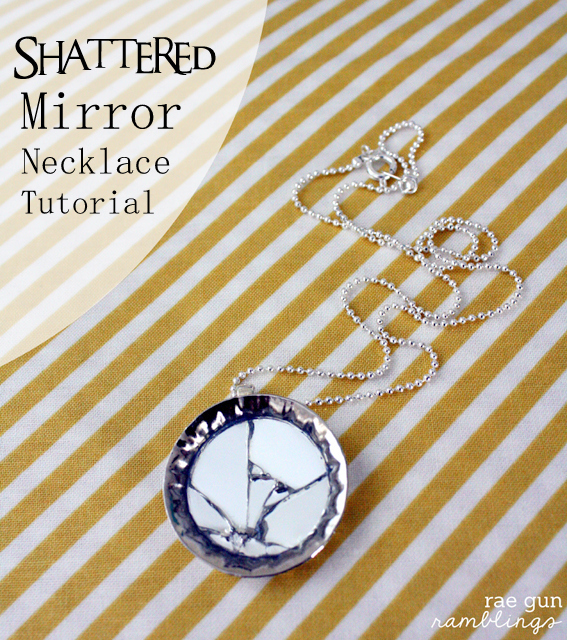 Smash mirror with hammer. I put it on a piece of thick fleece and kept the hammer down when I smashed which prevented most of the little bits from scattering much. 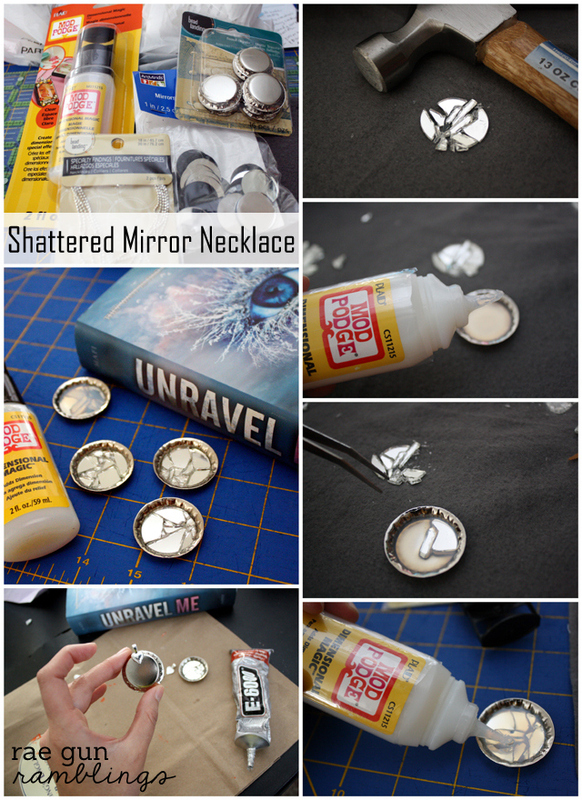 Place a small layer of Mod Podge Dimensional Magic into the bottom of the bottle cap and with tweezers add the pieces of mirror to the bottle cap. Top with more Dimensional Magic so that the mirror pieces are submerged. Allow to dry (preferably over night). It will be cloudy at first but it will dry crystal clear. Glue on bail to the back and string on a chain. And because I forgot to share pictures of the signing here are some of my favorites. 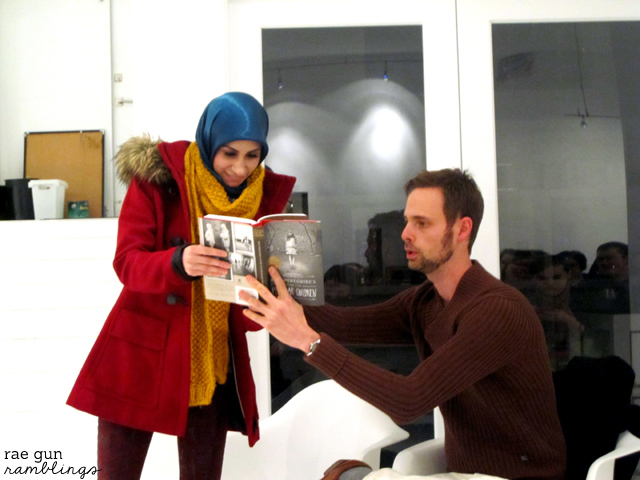 Tahereh Mafi and Ransom Riggs ( have the absolute best chemistry EVER. They are seriously the cutest. They were such a delight to listen to and speak with. 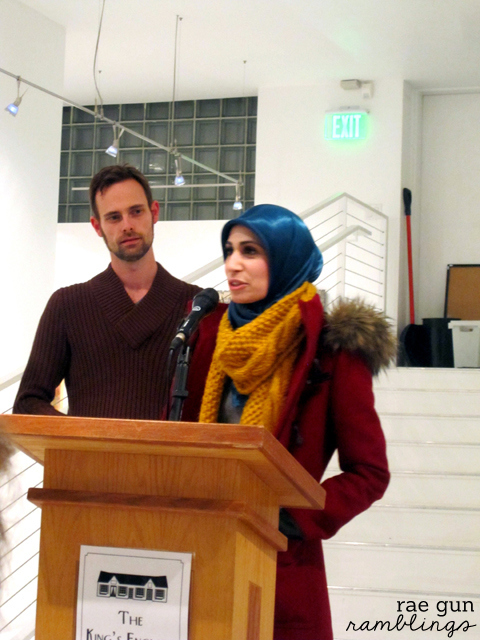 It was fascinating to hear how different their work styles are, Tahereh gets in the zone and forgets to eat while Ransom believes in square meals and seeing the light of day. 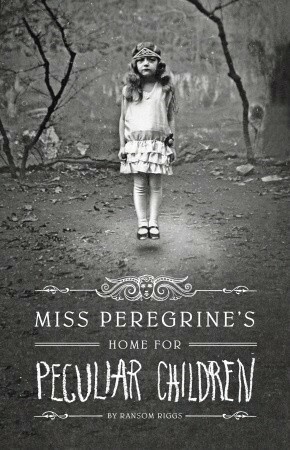 This book sounds really interesting, and I love the necklace. 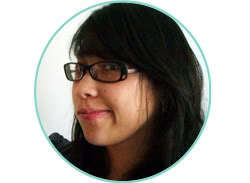 How cool that you had one for the author. I love that you gave her one! But really, I have to stop reading all your posts because they add to both my book list AND my project list. Both of which are already waaaaay longer than they should ever have been allowed to grow. But you know I can’t stop. 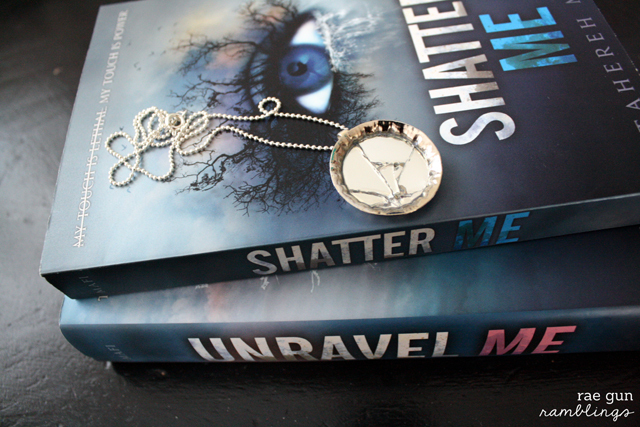 I’m kind of addicted to thinking that someday I could be cool like you and have jewelry that matches my book. What a cute and creative idea! I totally love it and I’m not a “book obsessed” girl. Love!! This is one of my favorites of your awesome necklaces! I absolutely LOVE this necklace. I need to read the book. Love the necklace! I’d warn you about possible bad luck, but that necklace seems to be lucky since you had such a great conversation with the author and connected with her. So cool! 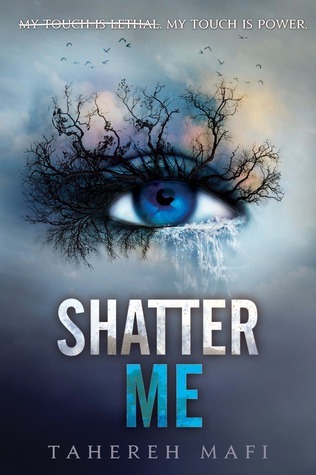 Love the connection between the shattered mirror necklace and book title. Very clever! Plus, it’s always good to discover another avid reader. Novels really open your imagination to new worlds. It’s fabulous when a fan like yourself gets to meet someone they admire too. Another good thing about your jewelry project: when you are a sinner saved by grace you don’t have to be concerned about bad luck!